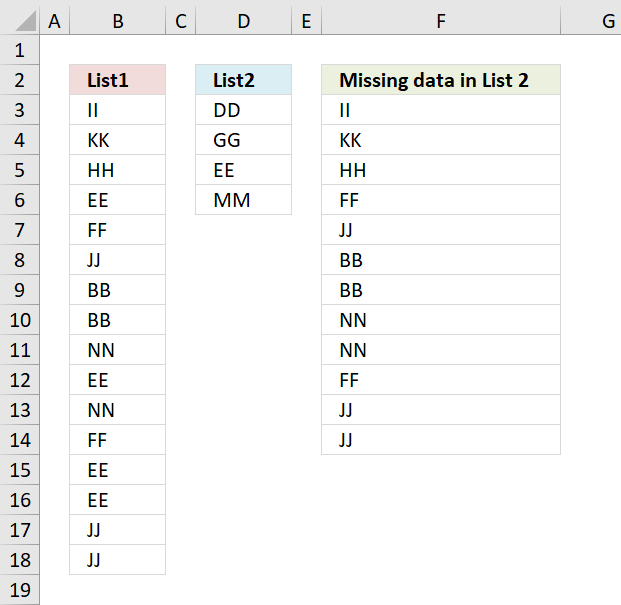 Question: How to filter out data from List 1 that is missing in list 2? 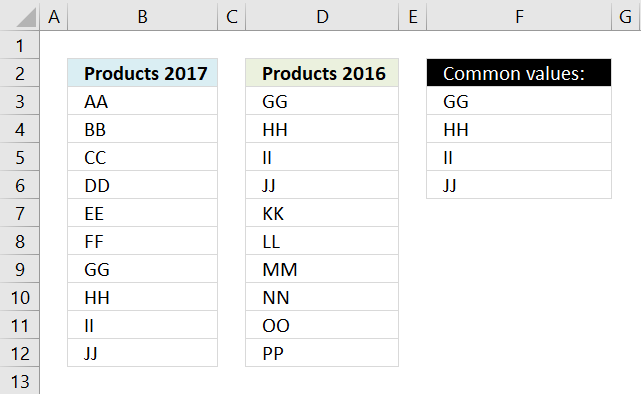 Answer: This formula is useful when comparing two lists to find out what cell values are missing.For instance, inventory comparison. 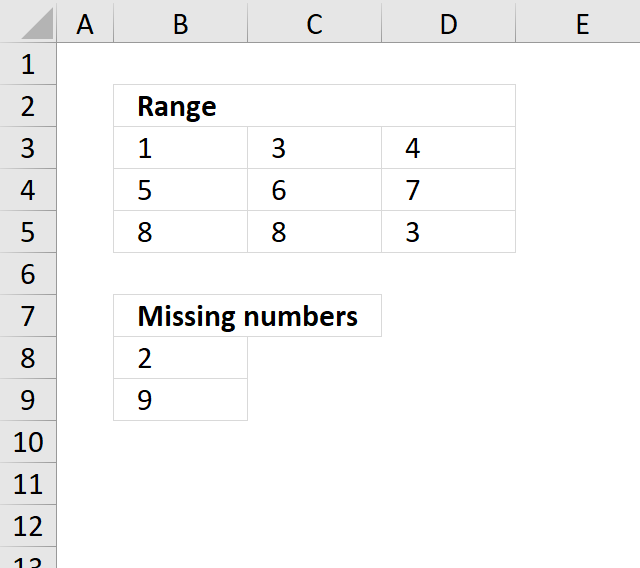 The MATCH function looks for a specific value in a cell range or array and returns it's position in that cell range or array. If the value does not exist in the cell range or array the MATCH function returns #N/A (error value). checks if there are any matches. If there are none, an error will occur. 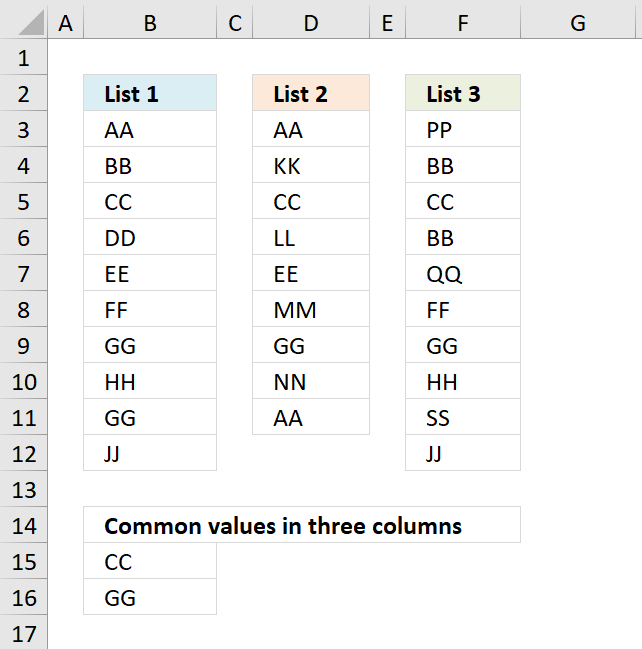 The image to the right shows the array and the corresponding value in column B. It is quite obvious already now which values are missing in the List 2 and which ones that exist. If a value in array is an error the ISERROR function returns TRUE else FALSE. 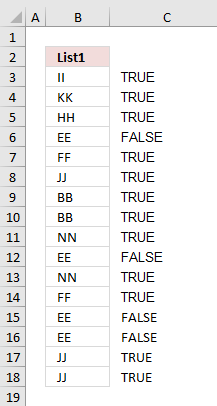 The array now contains boolean values, TRUE or FALSE. The IF function in the next step can't handle error values so this step is necessary. The IF function allows you to specify a logical expression and if it evaluates to TRUE one thing happens and if FALSE another thing happens. 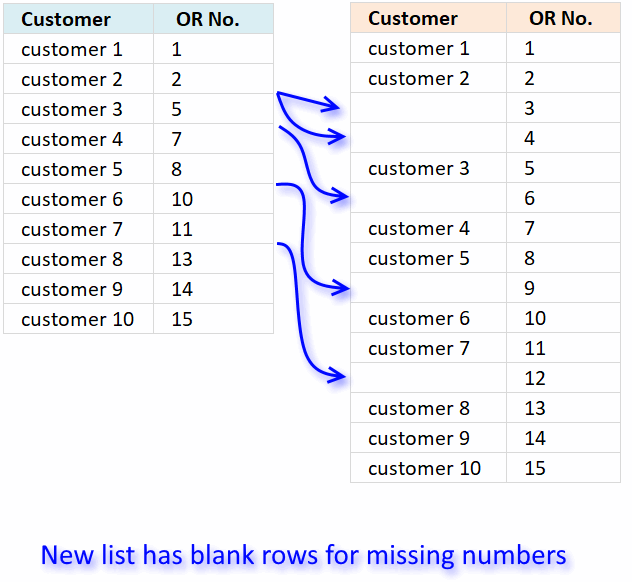 If there is an error in the array, replace that error with the row number. 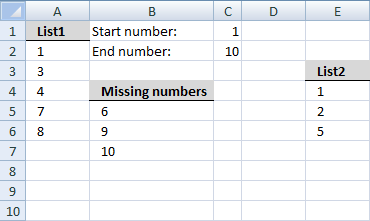 In this example one cell will display one value and in order to do that the small function returns a single row number for each cell allowing you to get a single value in each cell. 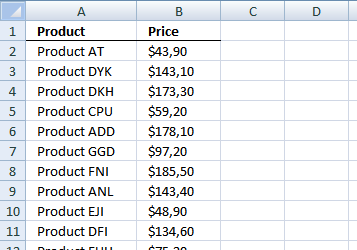 The INDEX function allows you to get a value based on a row number and column number. and returns II in cell C2. Why is it that the formula posted on this web page, is not the same as the formula embedded in the excel document? 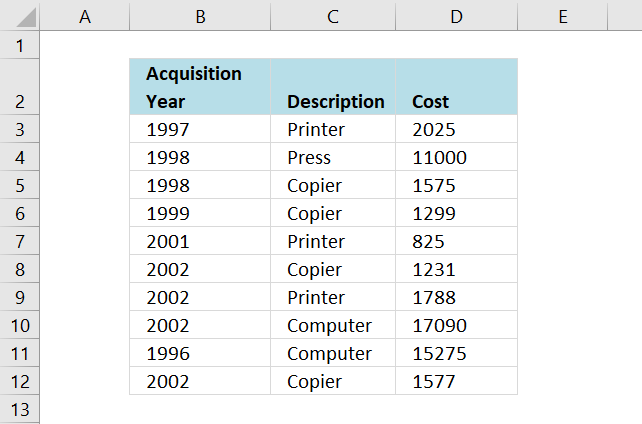 The formula in the excel document is longer (it has multiple relative cell references, whereas the formula in the excel spreadhseet refers to absolute cell references). If I copy/paste the formula on this page, it does not return any results; it is simply a long formula. Also, when I follow steps on how to create an array formula, it says that a bracket will appear aroun dthe formula, but that did not happen in my case. Any clues appreciated! Why is it that the formula posted on this web page, is not the same as the formula embedded in the excel document? 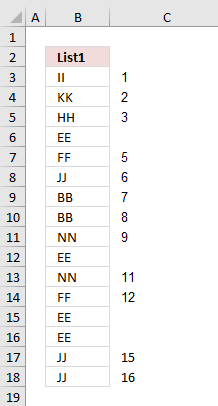 I changed the array formula in the post but forgot to change the attached file. Thanks for reminding me. 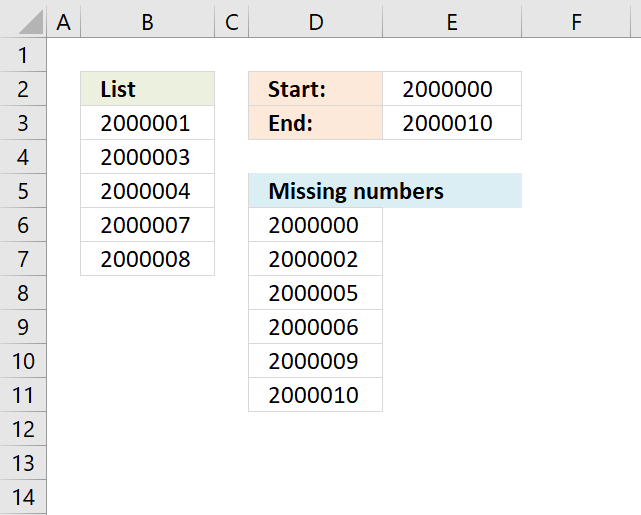 The array formula shown in this post is easier to use, you simply change the absolute cell references in the array formula. If I copy/paste the formula on this page, it does not return any results; it is simply a long formula. Also, when I follow steps on how to create an array formula, it says that a bracket will appear around the formula, but that did not happen in my case. Any clues appreciated! Did you paste the formula to the formula bar? Good support and help to improve my excel knowledge.